The Internet is a global village. It allows you to connect with users from all over the world in seconds. There are however services available that are only accessible by users from specific countries. Probably the most renowned services are the tv streaming site Hulu and the online radio Pandora, which are both only available for US users. But services in other countries are sometimes restricted as well. 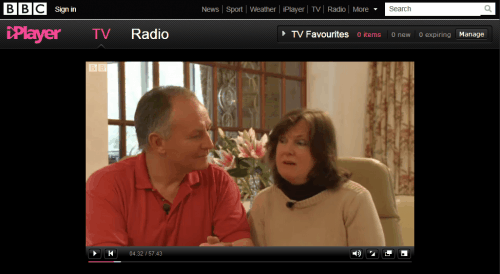 For the UK it is for instance most contents offered by the BBC iPlayer which is only accessible if the user connecting to the service has a British IP address. This does block expats and Brits on holiday from accessing the contents online. While it is possible to get access to TV and radio contents by connecting to a virtual private network (vpn) that assigns UK IP addresses, it is usually considered to be complicated to setup and not free as well. 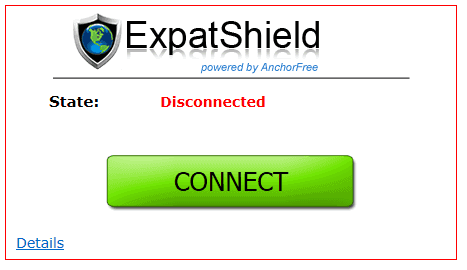 Expat Shield is a free service by the makers of HotSpot Shield that simplifies the process greatly. In its core, the software creates a vpn connection that assigns a UK IP to the computer system, thus allowing the user to access UK-only TV and Radio contents from all over the world. It works with all UK based services, including BBC iPlayer TV (offering access to BBC One to Four) and Radio, ITV Player, Channel 4 and others. And since it is a VPN connection it means that access is available through all programs, including web browsers but also standalone applications. Expat Shield is offered as a free download at the official website. The program is compatible with 32-bit and 64-bit editions of Windows XP, Windows Vista and Windows 7. Actually, the program is not downloaded directly from the website. A download manager is downloaded first, that then downloads the application to the local computer system. The application includes a custom toolbar that does not need to be installed, so make sure you disable it if you do not want it to be installed. The program places an icon in the system tray that offers controls to start and stop the service. Starting it actually means that the following window is shown in Internet Explorer that initiates the connection. It is probably possible to copy the url into another browser as well to initiate the VPN connection. From that moment on the system tray icon shows that the computer is connected to the VPN. Just visit the BBC iPlayer website and start watching the tv shows that you’d like to watch. Visit the ITV homepage to watch all available tv shows online from any location in the world. Available are ITV1, ITV2, ITV3 and ITV4 for online viewing. Expat Shield offers all the additional benefits of running a VPN connection, including protection from network snooping, encryption and a new IP address for increased privacy. This entry was posted on Thursday, November 4th, 2010 at 9:58 am	and is filed under software evaluation. You can follow any responses to this entry through the RSS 2.0 feed. Both comments and pings are currently closed.